NEOPIAN POUND – You push open the heavy iron door with clammy hands. Above you, a sign reads, ‘NEOPIAN POUND’. Take a breath in. Be prepared for the biggest decision of your life. Was it really a wise choice to come here? After all, the quaint building with its pink brick walls, windows with slightly open red curtains, and a picturesque row of flowers on each side of the door makes it a truly inviting edifice. 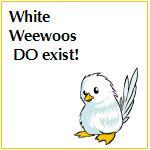 But, never trust a book by its cover, for the Neopian Pound is a place of pure terror for the Neopets residing inside. And bringing a naughty Neopet to the iron doors of the Pound can only mean one thing. One more Neopet will venture into the terror house, left behind to wait for that one day when light breaks through the doors pushed ajar by a kind adoptee waiting to gather the poor Neopet into their loving arms and take it home. Hopefully, though, you have not come to disown, but to be that shining ray of sun and take home a petrified little pet. But wait --! Are you truly ready for this? As kind of an act as it is, once you adopt a Neopet, there’s no going back. Before you make your final choice, make sure you can say yes to each one of the following questions. I’ll be sure to put a paragraph describing each question after it, and a few helpful tips on how to achieve the goal. Do you have room in your Neohome? Each Neopet wants a warm place to sleep at night, and adopting a Neopet without a room for it will cause trouble. Upgrades to houses are pricy, and even more so is the furniture, so it takes a while to get a room – time you can’t afford to waste if you have one Neopet sleeping on a pillow in your kitchen. If you don’t have the money, or the time to earn it, think about creating a double room. Neopets of the same gender and roughly the same age would be good roomies, but avoid mixing the two if you can. This saves money and space, so consider the option. Do you have enough Neopoints? Neopoints... the little gold coins that all of Neopia runs on. Without them, pets and their owners go hungry, shops go out of business... a mess that’s best avoided. Make sure you have a good 20,000 to start off to dedicate to your new pet. This will go to food, clothing, housing (which is talked about above), toys, travel, and so on. Without the proper money, your Neopet could become extremely unhappy. You need to have some sort of way to steadily gain Neopoints, like perhaps your shop. Sure, you may have enough for the first few hotdogs and shirts, but money can run out fast, a lesson that’s better not to be learned after adopting. Another good way to earn money is by trading or auctioning items for neopoints. You’d be surprised how much can be earned by trade and auctions if a bit of time is put into it. Do you have other Neopets of the same age/gender? As I stated above, the same age and gender Neopets make great roomies, and they also make great siblings. This gives your new Neopet a nice welcome to the family, as well as a lifelong pal. Not only that, but it’s easier to buy for the two since they are similar. Do you have time and money for recreational activities and travel? Sure, you’ve got the basics, but a bit of travel and fun never hurt anybody! You’ve got to have the time and the money to afford getaways and day activities, because no Neopet enjoys the same old same old every day. Traveling can be expensive, and even more so if your pets want a souvenir or a particularly pricy smoothie. Only plan a trip if you’ve got the money, or you’ll be in for a total dud. Have you done something you can be proud of? So far you’re a great parent, but your Neopet needs to look up to you, to be able to brag to their friends about you. For example, everyone likes a good, caring mom, but everybody loves a good, caring, game champion mom! Try to earn some trophies, hidden avatars, or – why not try to get published in the Neopian Times? These are all things your new pet will greatly look up to you for, making them feel even happier. Are your Neopets OK with this move? Adopting is a great thing, but not if your true pets aren’t ready. To some Neopets, a new sibling means less time you have for them, and the whole thing becomes a battle. They also could get very upset if money is a bit short because of the new sibling’s needs. Make sure your pets are not only ready, but excited for the new addition – this can make the adoptee feel even more welcome! Do you have the time, perseverance and love? Sure, you’re now the ‘Ultimate Dad!’ but do you really have the time? Can you sacrifice 100% of your time to care for this Neopet? Do you have the perseverance to continue to earn money so your pet can eat and be clothed? If you haven’t the time, then forget it. Vacations, friends for siblings, a warm bed and toys are one thing, but love, compassion and time is a whole different level, and in the end, it’s all any pet really wants. Thank you for reading my article, I hope you really thought over the things pointed out here. If you can say yes to every point, then you’re well on your way to being a good parent for a disowned pet! But if not, try to work on it so the new Neopet can feel welcome and loved.